State College Spikes honorary bench coach Josiah Viera has been an inspiration for the team for several years, bravely battling through some of the toughest adversity life can dish out. 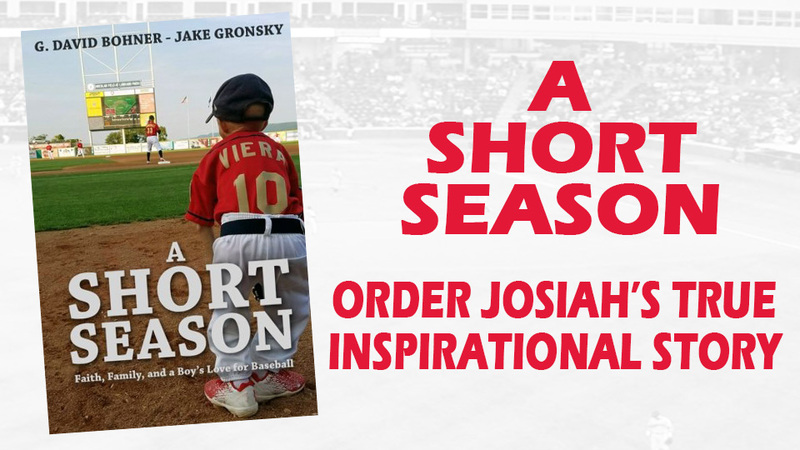 Now, fans can read Josiah's story with a new book, A Short Season: Faith, Family and a Boy's Love for Baseball. In A Short Season, Dave Bohner, the story's narrator and grandfather to Josiah, and Jake Gronsky , former Spikes player and St. Louis Cardinals professional baseball player, tell the powerful story of Josiah's fight for life that not only sparked a family's journey towards healing but inspired a generation of baseball players from one of the most historic organizations in Major League Baseball. A Short Season is a story of hope; a story of acceptance; and a story of faith based on the idea that sometimes a person's only journey to peace is first trekked through pain. A Short Season is a family's journey through sorrow and joy, it is a baseball team's inspiration, and it is the story of one exceptional child's ray of hope that changed all of their lives forever.